Communication plays a vital role to maintain the relationship. Whether they are long distance relatives or near friends, the conversation is the key to keep a bond. In back people just had a fixed telephone line which is the primary source of communication. Now in today’s world, the telecom industry has changed to a great extent. Everything is changing with time and advancement in technology. Today’s customers rely on mobile phones and internet to communicate with each other. Mobile is considered as most important part of our daily routine. A mobile phone is an essential channel to interact with the world and to stay in touch with loved ones. As the importance of communication has increased, so has the significance of telecom companies. Different telecom companies are introduced in the last couple of years. It increases the competition, and every network provider is trying hard to be distinct and to stand out. Quality customer services play an essential role to attract new customers and to keep their potential users. People usually consider reasonable rates, various bundles, and broad area coverage before choosing their network provider. Ufone is one of the top companies that always provide best to their customers. Ufone is extending its customer’s circle with daily call packages. To meet daily communication needs users mostly rely on daily call packages because they can get maximum benefits at the low rate with these bundles. Daily packages are not easily affordable but also provide unlimited free minutes to enjoy free talk time. These packages mostly have the validity of 24 hours or until midnight of the subscription day. Daily call packages are mainly aimed at those people who want to get fee minutes on a daily basis. These packages are most suitable for students and for those who are usually on low budgets. By considering the needs and desires of its customers, Ufone has introduced various daily call packages. These packages are only for prepaid customers of Ufone. By subscribing to any of these packages, you will get unlimited fee minutes with the validity of 24hrs. 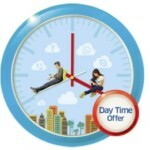 Most daily bundles offer on-net minutes, but some also give you an additional benefit of off-net calls as well. Get the maximum fun on a daily basis at the lowest cost. These offers will expire after one day, you have to subscribe again to avail the offer, and some of these are auto-renewable. You will also get free SMS and data Mbs by adhering to some particular packages. Weekly hectic routines and busy schedules make it hard for us to take some extra time for ourselves. A comforting weekend is what we need for relaxing and peacefulness. Calling a friend or special ones can help to reduce the stress and can give us the wealth of joy and peace at the end of the week. To meet the weekly needs of communication, we mostly want a package with cheap rates and maximum benefits. Weekly packages are a midway between daily and monthly bundles. These offer reasonable rates like daily bundles and provide you unlimited free calling bundles like monthly packages. Get the best offer according to your needs with Ufone weekly call packages. Weekly call packages provide you endless free talk time for a whole week. Just dial the subscription code of your desired and activate the chosen bundle. Users can avail these offers within seven days after successful subscription. Ufone gives you special treat of additional SMS and data Mbs by enabling any one of Ufone Weekly call packages. Every bundle has something different to offer at most affordable rates. Ufone is giving you more than your expectations in the form of weekly call packages. Want to get maximum talk time with something extra at reasonable rates then you should subscribe to weekly call packages now. The primary aim of all call packages is to provide ease and convenience to customers. Monthly call packages allow you to enter into the stress-free month. By just subscribing to these bundles you will have access to relaxing month. Most of these packages are hybrid or all in 1 bundle. Rather than just free calling minutes, these packages also give you the benefit of the unlimited message and free web surfing. The only one-time subscription fee is applied for activating these packages. These offers not only give free calling minutes from Ufone to Ufone but also provide you free off-nets minutes to stay connected with other network friends. Ufone Monthly packages give you all services bundled in one offer. These packages not only gives the benefits of free calling minutes but you will also be provided with free SMS on all local networks and free data volume buckets. Most of these packages are auto-renewable; these will auto-renew after a month if you have sufficient balance. All monthly call packages are valid for 30 days of a month. 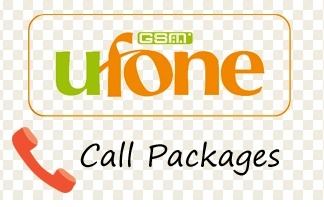 Ufone offers these call packages not only for prepaid customers but also for postpaid customers as well. Enjoy the free unlimited talk time with both on-net and off-net numbers with Ufone monthly call packages. Call setup charges are applied to each new call you made. All prices are inclusive of taxes. Ufone is delivering more than user’s expectation. It will be hard to find such call package at lowest rates on any other network. Don’t be late and subscribe to the most suitable call package according to your need.